Hillyar was the son of a naval surgeon. 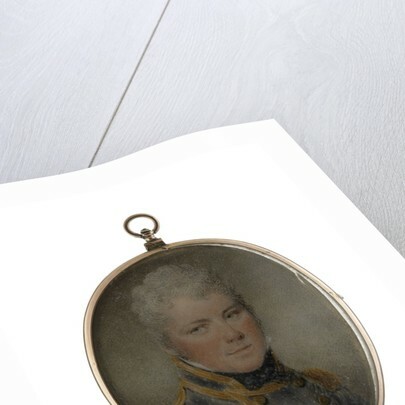 He entered the Navy in 1779 and after service during the American War and the ensuing peace, won a commission from Lord Hood on 8 March 1794 for his services at Toulon and in Corsica early in the French Revolutionary War. As a lieutenant he served under Sir Robert Stopford in a number of ships, initially the 'Aquilon' (including at the Battle of the Glorious First of June 1794) and on promotion to Commander on 16 April 1800 commanded the 'Niger', armed 'en flute' as a troopship to the Mediterranean, where he was involved in boat actions and similar operations. 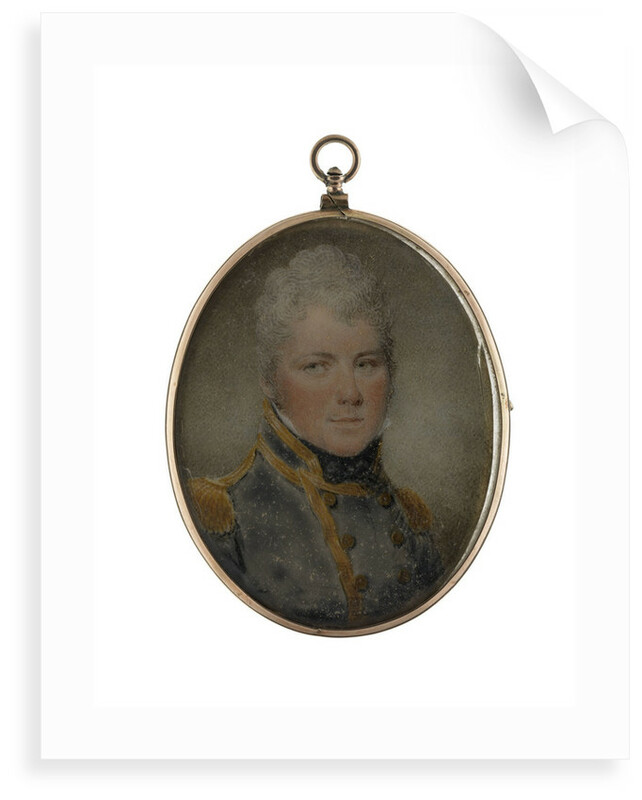 Nelson had a very high regard for him, and since also aware that he was the main support of his mother, sisters and a brother, was instrumental in securing his advance to post-captain on 29 Februrary 1804. The armament of the 'Niger' was increased to justify this and he remained in her in the Mediterranean until 1807. He was subsequently flag-captain to both Sir Eliab Harvey and Rear-Admiral Pickmore in the Baltic, and Saumarez then put him in command of the 36-gun frigate 'Phoebe' there. In her he later sailed to the East where he was present at the taking of Mauritius in 1810 and Java in 1811. In 1813, still in 'Phoebe', he went to attack American fur interests in the Pacific North-West but sent on a consort to do this and himself diverted to hunt for the larger 46-gun American frigate 'Essex', which was raiding British shipping off South America. Eventually he found and blockaded her in Valparaiso. On breaking out, the American lost a topmast in a squall and this sufficiently disabled her to make her anchor, where Hillyar pressed home the unexpected opportunity it gave him and captured her - though accused of taking an unfair advantage. In 1830-1831 he commanded the 'Revenge', 74 guns, under Sir Edward Codrington, and for a short time was senior officer in the North sea during the siege of Antwerp. He was then in the 120-gun 'Caledonia' on the coast of Portugal during 1832 and early 1833. 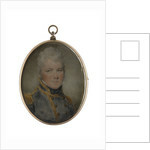 He became KCH in January 1834, a rear-admiral on 10 January 1837 and KCB on 4 July 1840. Hillyar married Mary, a daughter of Nathaniel Taylor, naval storekeeper at Malta, in 1805, and had three daughters and three sons. The latter included Admiral Sir Charles Farrell Hillyar (d. 1888) and Admiral Henry Shank Hillyar. He died at Torpoint, Cornwall, on 10 July 1843, and was buried in the parish churchyard at Anthony. 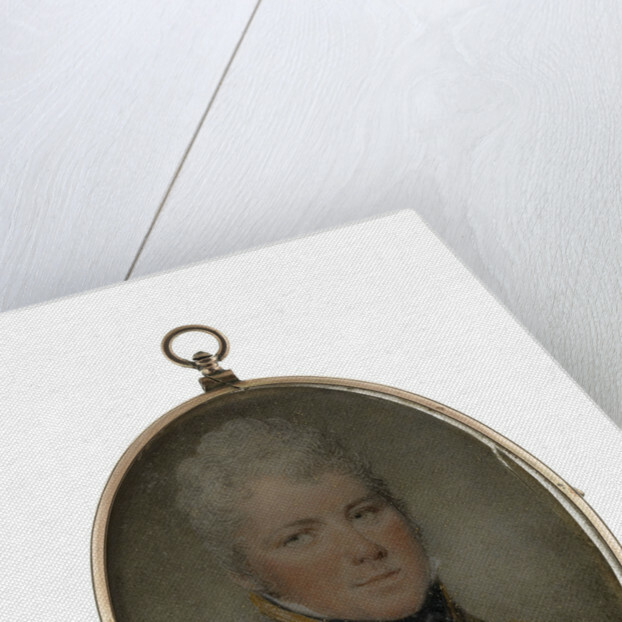 This miniature was purchased for he Museum in October 1934 by Sir James Caird from Miss Phoebe Rees, a descendant of Hillyar, though apparently originally lent in 1932.